Geert Wilders, a member of the Dutch Parliament and leader of the right-wing Dutch Freedom Party, is a controversial proponent of anti-Islamic policies. His flamboyant personal style and stridently ”Islamophobic” views have helped convert Wilders into a cause célèbre among many neoconservative and other right-wing factions in the United States. He is the founder of the International Freedom Alliance, a global coalition of anti-Islamic activists that appeared to be inactive as of mid-2012. Wilders was first elected to Parliament in 1998 as a member of the center-right Liberal Party (VVD). Appointed the party’s spokesman on foreign affairs in 2002, Wilders became increasingly outspoken about what he regarded as the pernicious influence of radical Islamism on the Dutch Muslim community. In 2003, he partnered with fellow MP Ayaan Hirsi Ali—a Somali-born ex-Muslim and co-partisan of Wilders—to publish a letter in NRC Handelsblad calling for a “liberal jihad” against Islam in the Netherlands. His outspoken broadsides against Islam and what he considered his party’s inaction on the matter, however, eventually sullied his relationship with his parliamentary colleagues. After publicly breaking with the party in the mid-2000s on a host of issues—including most notably the party’s willingness to consider extending EU membership to the Muslim-majority state of Turkey—Wilders founded the far-right Freedom Party. 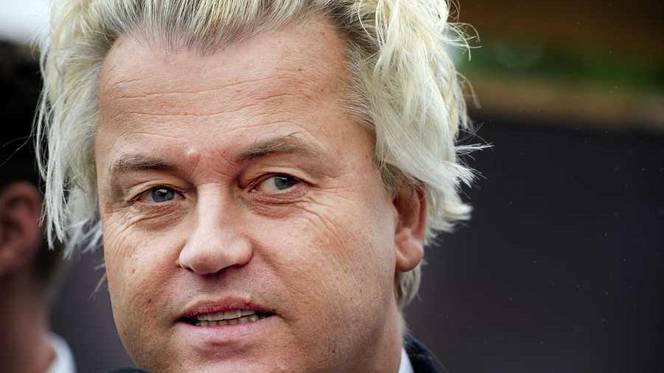 The Freedom Party has steadily increased its representation in Parliament, leading Wilders to declare his ambition to eventually become prime minister. According to the Guardian, Wilders has said he has “no problem” with individual Muslims. However, echoing some on the American right, he has denigrated Islam as “not a religion” but rather “the ideology of a retarded culture.” Among other things, his Freedom Party’s platform has called for a ban on immigration from Muslim-majority countries, a voucher plan to pay Muslims currently living in Holland to leave, and the deportation of Muslim “criminals” (presuming they are immigrants in the first place). Unlike some other far-right leaders in Europe—who have often been accused of anti-Semitism—Wilders is a strident supporter of Israel who has visited the country over 40 times. "When I'm here I'm with my people, my country, my values,” he said during a 2008 visit to Jerusalem. “I feel more at home here than in many other European countries. Israel's a democracy—it's everything we stand for." Wilders’ activism earned him the enmity of many in the Netherlands’ minority communities, who filed formal complaints against the parliamentarian for hate speech in 2007. Although Dutch authorities decided not to try Wilders in 2008 over complaints about his controversial short film Fitna—which features Quranic passages overlaid with footage of the World Trade Center attacks, along with other gory footage of terrorist attacks—prosecutors ultimately brought charges in 2009. After two trials, Amsterdam judge Marcel Oosten acquitted Wilders of all charges in June 2011, ruling that although Wilders’ views were “gross and denigrating” toward the Islamic faith, they were “acceptable within the context of public debate.” During his trial, Wilders was banned from traveling to the United Kingdom due to concerns that he would incite anti-Islamic sentiments there. The prohibition has since been lifted. The chief sponsors for Wilders’ trip included far-right neoconservative outfits like Frank Gaffney’s Center for Security Policy, the David Horowitz Freedom Center, and Daniel Pipes’ Middle East Forum. 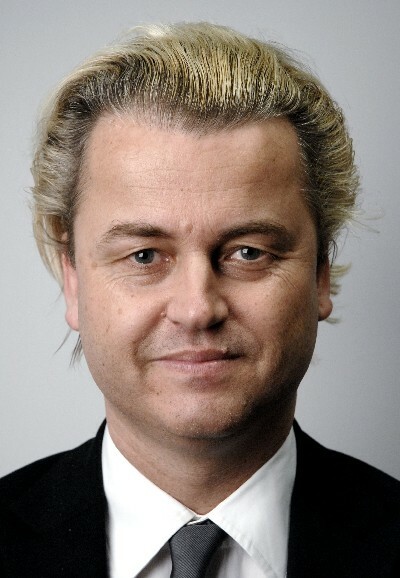 In January 2010, Pipes himself penned an ode to Wilders, saying that although he “disagree[d] with Wilders about Islam,” he still found Wilders “the most important European alive today,” someone who “has the potential to emerge as a world-historical figure” because of his willingness to “deal with the Islamic challenge facing the continent.” Pipes and the Middle East Forum actively fundraised during this period for Wilders’ defense fund. Wilders has occasionally waded publicly into U.S. debates. At a 2010 rally organized by Pamela Geller and Robert Spencer against the Park 51 Islamic Center in lower Manhattan—the so-called “Ground Zero mosque”—Wilders called on New York to "defend itself against the powers of darkness,” warning that “America, New York, and shari'a are incompatible.” Geller introduced Wilders at the event as her “hero.” The speech provoked controversy back in the Netherlands, where government officials expressed concern that Wilders’ views could be mistaken in the United States for the position of the Dutch government. In April 2015, Wilders was invited to Washington by Reps. Steve King (R-IA) and Louie Gohmert (R-TX) to warn “of the dangers of Islamization.” During a press conference on Capitol Hill, Wilders ranted about the dangers of Muslim immigration to the United States. “I am warning America. Don't think that what's happening in Europe today will not happen in America tomorrow because it will,” he declared. “Islamic immigration has proven to be a Trojan horse, the jihadists are among us." During the same trip, Wilders served as the keynote speaker at a controversial cartoon contest of drawings of the Muslim prophet Muhammad in Garland, Texas. Hosted by Pamela Geller’s American Freedom Defense Initiative, a group listed as a hate organization by the Southern Poverty Law Center, the event drew international attention after two men who had allegedely declared loyaltly to ISIS opened fire near the exhibit. The armed men managed to wound one person before being shot and killed by police. Radio Netherlands Worldwide, “Wilders sets up international alliance against Islam,” July 16, 2010,http://www.rnw.nl/english/article/wilders-sets-international-alliance-against-islam. Derk Stokmans, “Who is Geert Wilders?” NRC, March 28, 2008, http://vorige.nrc.nl/international/article1876586.ece. See, for example, BBC, “Surge for Dutch anti-Islam Freedom Party,” June 10, 2010, http://www.bbc.co.uk/news/10271153. Dutch News, “Wilders: I want to be prime minister,” March 17, 2009,http://www.dutchnews.nl/news/archives/2009/03/wilders_i_want_to_be_prime_min.php. Ian Traynor, “'I don't hate Muslims. I hate Islam,' says Holland's rising political star,” Guardian, February 16, 2008,http://www.guardian.co.uk/world/2008/feb/17/netherlands.islam. Cnaan Liphshiz, “Far-right Dutch politician brings his anti-Islam rhetoric back to Jerusalem,” January 11, 2008,http://www.haaretz.com/far-right-dutch-politician-brings-his-anti-islam-rhetoric-back-to-jerusalem-1.237038. International Herald Tribune, “Holland declines to prosecute anti-Islam politician,” June 30, 2008,http://www.nytimes.com/2008/06/30/world/europe/30iht-dutch.4.14108722.html. BBC, “Geert Wilders cleared of hate charges by Dutch court,” June 23, 2011, http://www.bbc.co.uk/news/world-europe-13883331. Michael Steen, "Dutch party chief barred from UK," Financial Times, February 11, 2009, http://www.ft.com/cms/s/0/00213dde-f7a0-11dd-a284-000077b07658.html. Loon Watch, “As Geert Wilders Star Fades in Europe, He Hopes to Make it in America,” April 21, 2012,http://www.loonwatch.com/2012/04/as-geert-wilders-star-fades-in-europe-he-hopes-to-make-it-in-america/. Daniel Luban and Eli Clifton, “POLITICS: Dutch Foe of Islam Ignores US Allies' Far Right Ties,” Inter Press Service, February 28, 2009, http://www.ipsnews.net/2009/02/politics-dutch-foe-of-islam-ignores-us-allies39-far-right-ties/. Eli Clifton and Daniel Luban, “U.S. Politicians Warmly Greet Reactionary Dutch Islamophobe,” Inter Press Service, March 3, 2009, available at http://www.alternet.org/story/129718/u.s._politicians_warmly_greet_reactionary_dutch_islamophobe?paging=off. Daniel Pipes, “Why I Stand with Geert Wilders,” National Review Online, January 19, 2010, available athttp://www.danielpipes.org/7888/stand-with-geert-wilders. Anahad O’Connor, “Mr. Wilders Goes to Washington,” New York Times “Caucus” blog, February 26, 2009,http://thelede.blogs.nytimes.com/2009/02/26/mr-wilders-goes-to-washington/. Max Blumenthal, “The Sugar Mama of Anti-Muslim Hate,” The Nation, June 13, 2012,http://www.thenation.com/article/168374/sugar-mama-anti-muslim-hate#. See Right Web profile, “Pamela Geller,” http://www.rightweb.irc-online.org/profile/geller_pamela. Dutch News, “Protest at Wilders' speech,” August 9, 2010,http://www.dutchnews.nl/news/archives/2010/08/protest_at_wilders_speech.php. Yasmine Taeb, “Notorious Islamophobe Who Wants To Ban The Qur’an To Address Members Of Congress,” ThinkProgress, April 8, 2015, http://thinkprogress.org/world/2015/04/08/3644556/notorious-islamophobe-address-members-congress/. Jerry Gordon, “Wilders’ Capitol Hill Press Conference Warns America Revealing CAIR’s Ignorance of First Amendment Law,” New English Review, May 2, 2015, http://www.newenglishreview.org/blog_direct_link.cfm/blog_id/60784. SIS in tweets,” CNN, May 4, 2015, http://www.cnn.com/2015/05/04/us/garland-mohammed-drawing-contest-shooting/. Matt Wilstein, “Charlie Hebdo Cartoonists Distance Themselves from Texas Event: ‘No Comparison’,” Mediaite, May 4, 2015,http://www.mediaite.com/tv/charlie-hebdo-cartoonists-distance-themselves-from-texas-event-no-comparison/. Eric Dondero, “Paul Ryan on the threat of ‘Islamo-Fascism’,” Libertarian Republican, August 14, 2012,http://www.libertarianrepublican.net/2012/08/paul-ryan-on-threat-of-islamo-fascism.html.